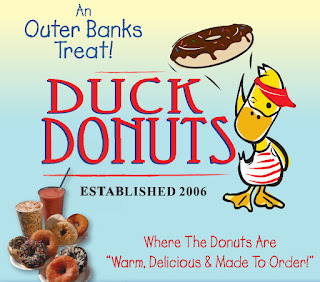 When I was a kid we would go to the Outer Banks and stay in Duck for a week during the summer. I loved it so much. Everything was better at the beach. Of course seafood tasted better at the beach (being so fresh and all), but even pizza tasted better at the beach. Shopping was better at the beach, in that it was fun to begin with (I have always hated, and will always hate shopping). And you could always count on the fact that there would be treats. I mean, that's what going to the beach is all about, right? One of the treats my Dad always insisted on was taking us to a place called "Stack 'Em High Pancakes," a veritable pancake paradise near Kitty Hawk. This was before IHOP and Denny's had invaded my hometown of Richmond, and the closest thing we had was the Waffle House. Stack 'Em High was so much better than the Waffle House. Pancakes by the dozen (or at least that's how it looked to a kid), any and all toppings you could think of, and more syrup than you could shake a stick at. You were also sent off with a lovely parting gift: Those pancakes would sit in your stomach like a hot rock for the rest of the day. And that's literally what we would say: "Man, those pancakes were good, but boy, are they sitting in my stomach like a hot rock!" Usually followed by some guttural utterance like "Uuuuuuurrrrgggghhh." Well, times change, and so do traditions. We stopped going to the beach for a week stretch for a long time, and then when we finally had our own families and we decided to pick up the tradition again, we went further South on the Outer Banks by way of Salvo/Waves and Avon. The surfing is better down there for my surfer dudes husband and brother. But boy, were there drawbacks. Having to schlep your stuff through a quarter mile of piping hot sand dunes, driving a half hour to the grocery store, and no Stack 'Em High. Their motto says it all. This year, we were bound and determined to do it different - we were going back to Duck, where our love affair with the Outer Banks began. It was awesome. I had forgotten how truly charming the little town of Duck is, and how fun it is. Our house was literally right on the beach which made things so much easier. Their town Fourth of July parade was spectacular, and I have never in all my life seen that many people turn out for a parade before. Liam made off with so much candy we considered calling him Willy Wonka for the day. We had beautiful weather, and the grocery store was close with great selection, as was a local seafood market. But the highlight of our beachy culinary pursuits was...doughnuts. Not just any doughnuts, Duck Donuts. We had heard from people before we went down that we absolutely had to get some, as they were the best doughnuts anyone had ever had, ever. That's a pretty good billing. My mom picked some up within the second day we were there, and related that she had to stand in a line that went out the door and down the steps. These might just well be the most popular doughnuts anywhere as well, but I was skeptical. I mean, I like doughnuts just fine, but I'm not one to wake up and say "I need to have a doughnut now!" Duck Donuts changed that in me, for sure. With one bite, I understood immediately what everyone was talking about. These were beyond fresh - possibly the freshest I've ever tasted. Warm, chewy, with just a bit of crunch on the outside. They were outstanding. And unlike the pancakes from Stack 'Em High (which still exists by the way), there was no residual hot-rock feeling. And obviously we weren't the only ones who loved them. Remember that parade I was talking about? We watched as hundreds of people trekked up the hill to get a good spot to watch from, and what were most of them carrying? A box of Duck Donuts. We were jealous, and almost made a break for it to go get some ourselves, but decided that in the heat that morning it wasn't worth it. At the end of the week we decided we had to have at least a half dozen more, and this time I went along. Sure enough there was a line out the door, but the interior of the operation was small, so there wasn't a lot of standing room inside. The line went quickly though, and inside I watched the machine making the doughnuts, which was kind of fascinating. They're not super fancy - there are only a couple of flavors that go beyond the normal glazed, powdered, and chocolate, but I think that's the genius behind the operation. They don't need a lot of fancy flavors or variety because what they do produce is brilliant. I will say, however, that their coffee was a big disappointment, but not being a big coffee drinker in the first place that's neither here nor there. 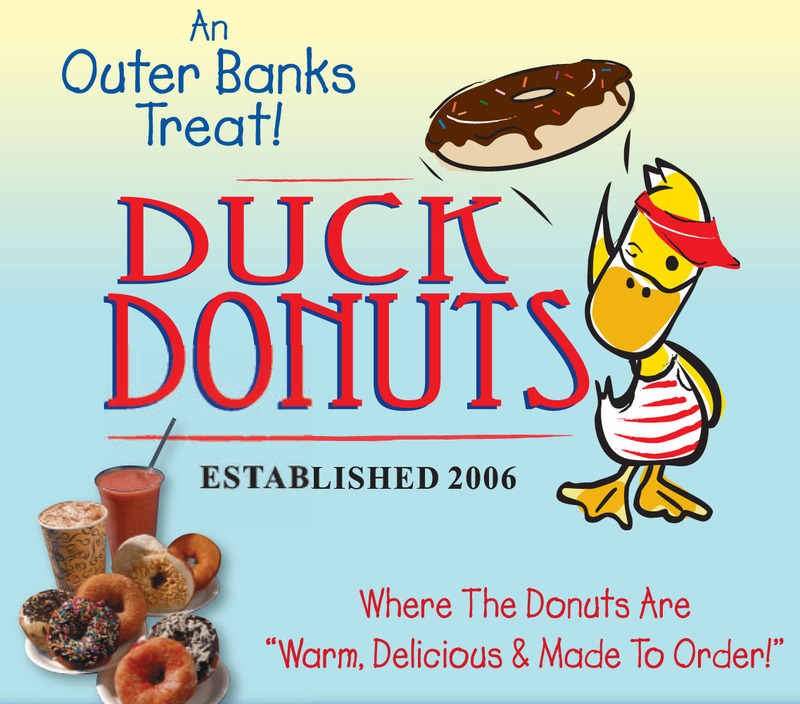 Duck Donuts has four locations: one in the town of Duck, one in Kitty Hawk and Kill Devil Hills, and one in the town of Corolla. Most locations open at 6:30 a.m. If you're headed that way this summer, be sure to stop in. Take a friend you can chat with while you wait, and get ready for the best doughnuts you've ever tasted. What you should try next time you go down to the Avon area is the Gingerbread House. They make the best gingerbread cookies ever! And gingerbread with fresh whipped cream and lemon curd. And excellent pizza, we love the chicken cordon bleu pizza. They have really odd hours, and they're a bit out of the way (not quite all the way to the Ocracoke ferry) but totally worth it! We buy boxes of gingerbread men to bring home. I have never tried Duck Donuts. I'll have to add that to my list for next time. Shauna, I have been to the Gingerbread House! 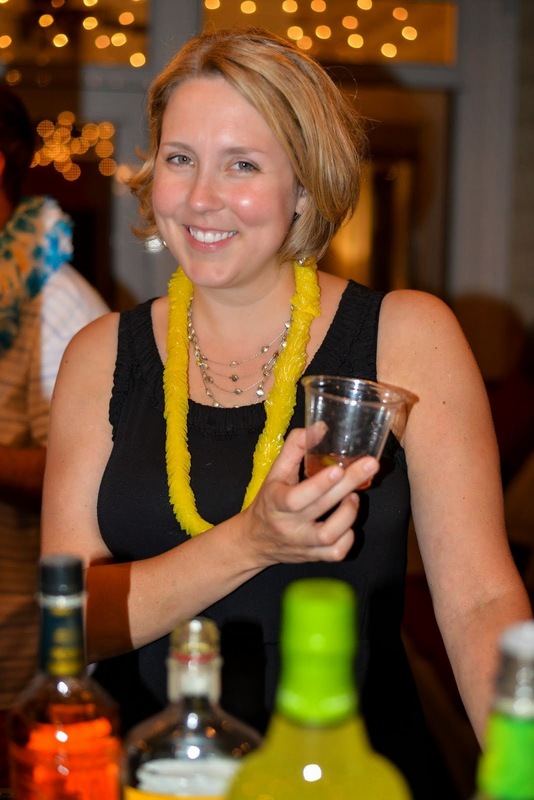 One of our favorite places to stay for a very quick getaway is the Inn on Pamlico Sound. So beautiful, and we always go and have pizza at the GH. To tell this truth, I do love it down south. It's so wild and beautiful. But it was really nice to go back to Duck. I just love it there! We went last summer with quite a large group of my family. We called ahead to let them know we'd be buying something like 15 dozen gingerbread men. I think we filled up their whole seating area.